Here I am with my second DT project for this week's anything goes challenge at Inspiration Destination. 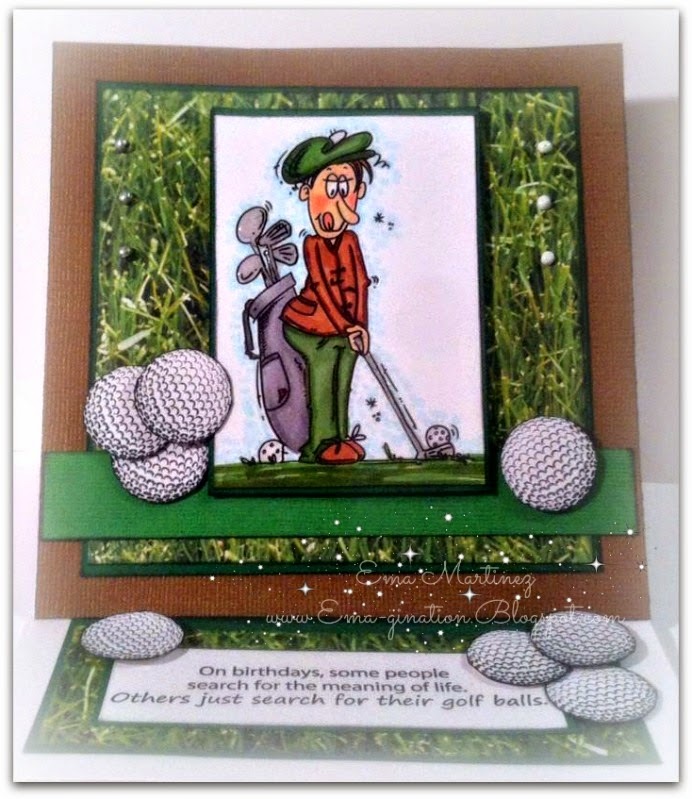 Our second sponsor is Bugaboo Stamps! 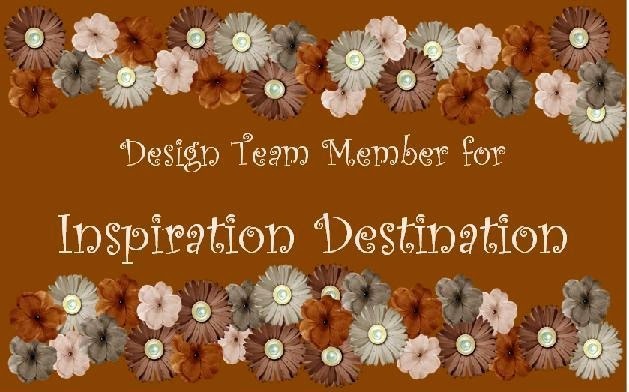 Don't forgot to stop by IDCB and check out my teammates makes! Hi Ema...I just love the balls! They simply pop! Beautiful card! Thank you so much for entering our ATG challenge at Through The Craft Room Door this fortnight. Looking forward to see you again next challenge. Have a nice day Ema! This is fab Ema! 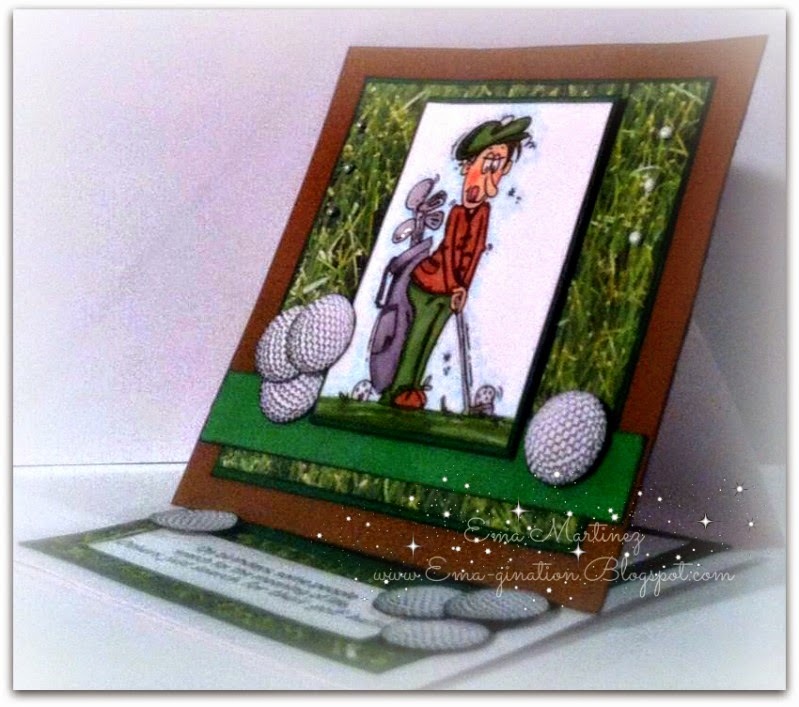 Always good to see a great male card! Thank you for sharing at Papaerbabes! Jackie DT member. 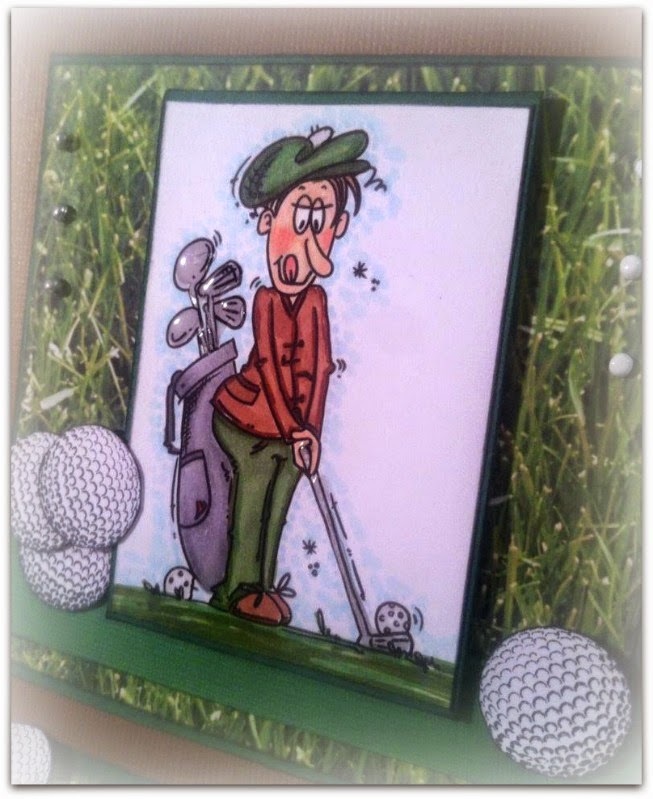 Such a cute card. The colors are gorgeous. Love it. Darling card for a guy. Thanks for sharing with us at Mema's Crafts. 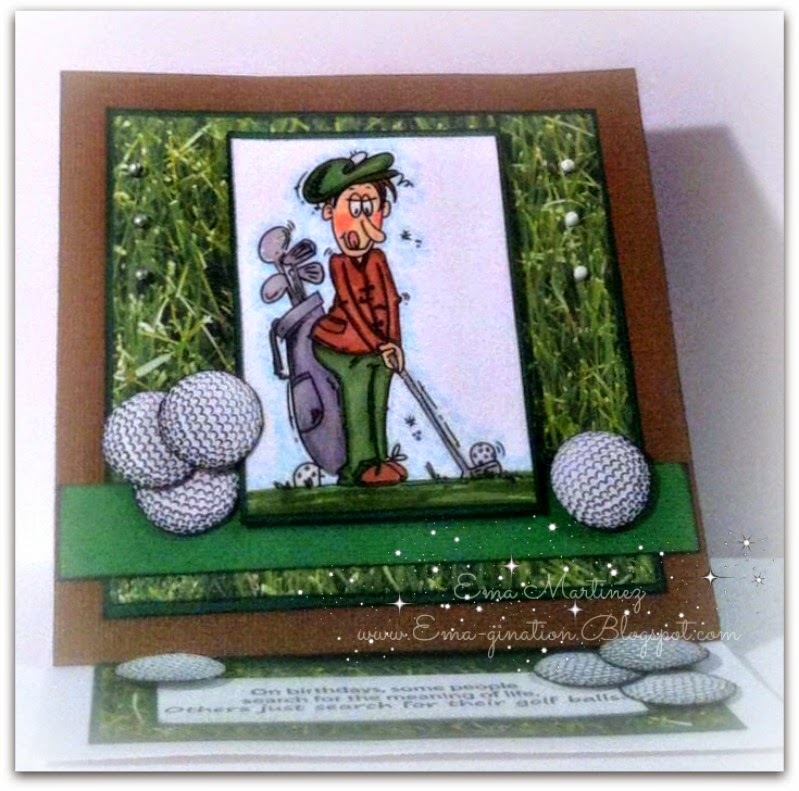 What a great card for any golf loving guy.The grass paper and added golf balls are super touches.Thanks for joining us at Craft Your Passion.Hope to see you again next week. Fun and very charming. Thanks for joining us over at PPT this month. 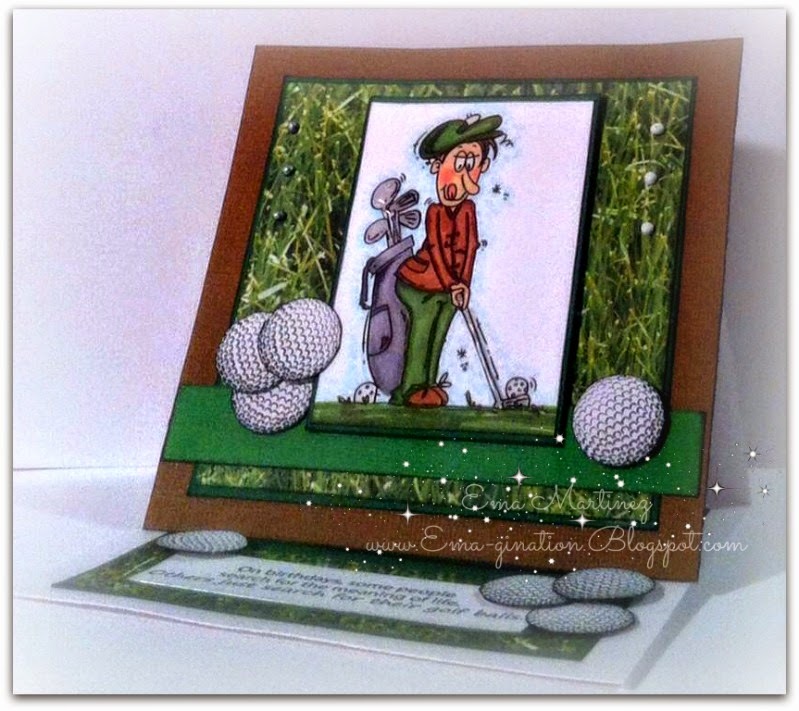 Thank you for sharing with us Mema's Crafts; good luck in the challenge!